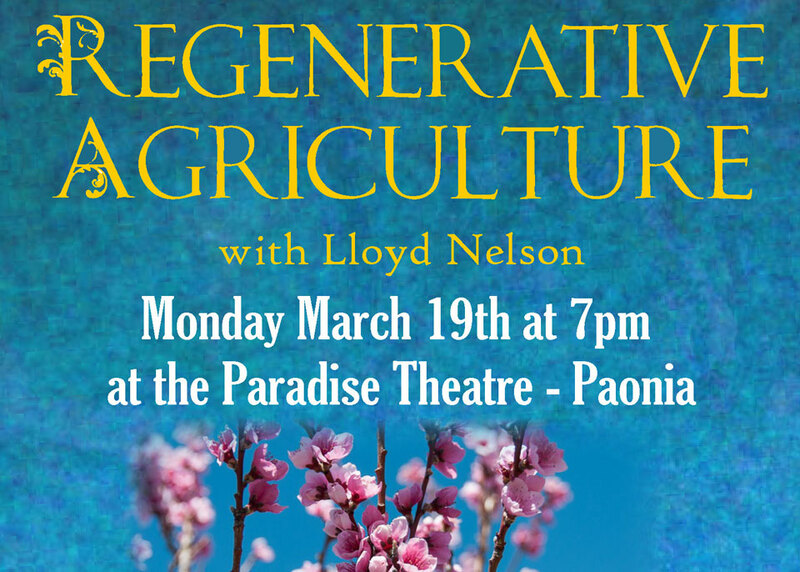 Lloyd Nelson led a lively presentation on the core principles of Biodynamic Agriculture. Attendees learned how to create sustainable fertility and healthy soil in farms, orchards, vineyards and gardens. The event was held on March 19, 2018 at the Paradise Theatre in Paonia, CO.